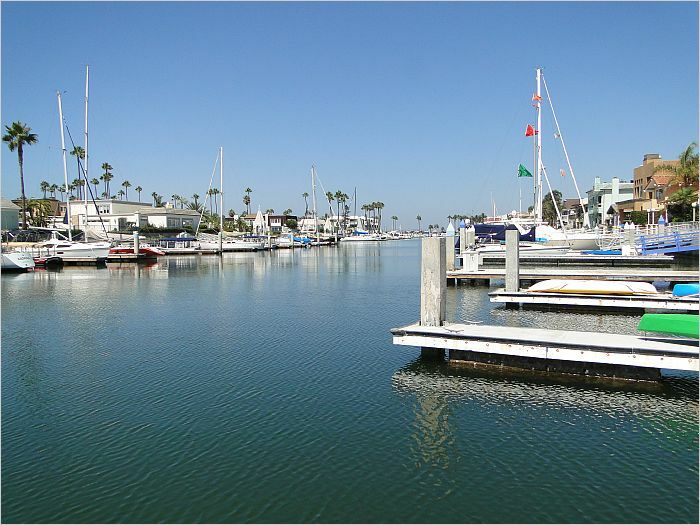 Lowest priced waterfront home with dock in Coronado Cays for flotilla plus up to 62' yacht. See virtual tour link for drone aerial footage. 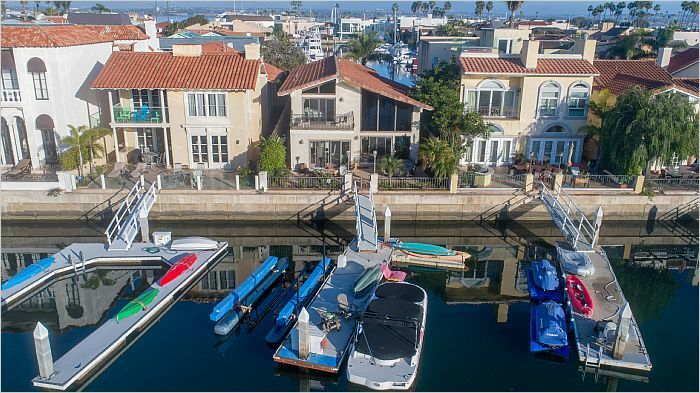 Lowest priced waterfront home W/dock in Coronado Cays by over 1/2 million dollars. WATER VIEW from front & rear of property! View virtual tour link to see drone aerial footage. 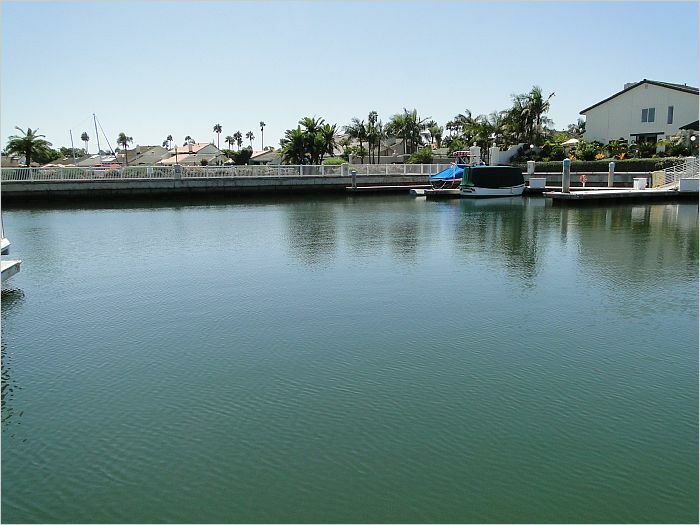 Waterfront home w/new boat dock with utilities and dock box. Perfect for your personal flotilla or up to two 62 ft boats. Situated on an Extra Wide 200' channel! Spacious, light & bright 4 bedroom 3 bath home. Updated Anderson windows & sliding glass doors. 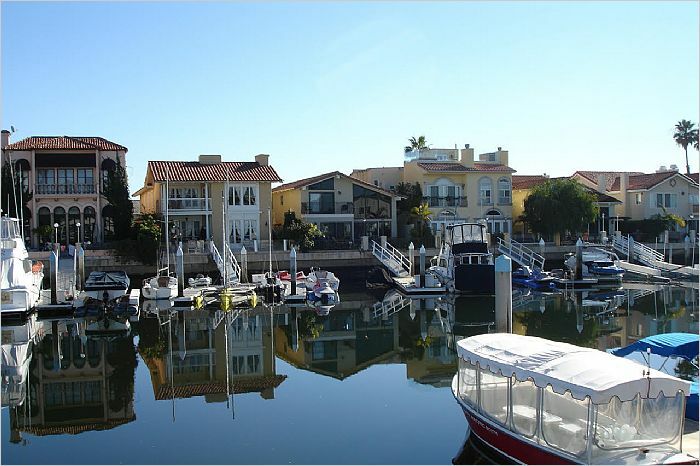 The waterfront patio is perfect for alfresco dining and entertaining friends. Large water front kitchen & eating area. Also a separate dining room with faux Venetian plaster walls. Large family room with 30+/- foot high ceilings and fireplace. Floor to ceiling glass in family room overlooking the water. Grand sized lightly stained wood Anderson sliding glass doors in dinning room, kitchen - nook eating area, dining room and master bedroom. These doors are perfectly situated to capture the cool gentle prevailing Pacific Ocean breeze. Save money on electricity. 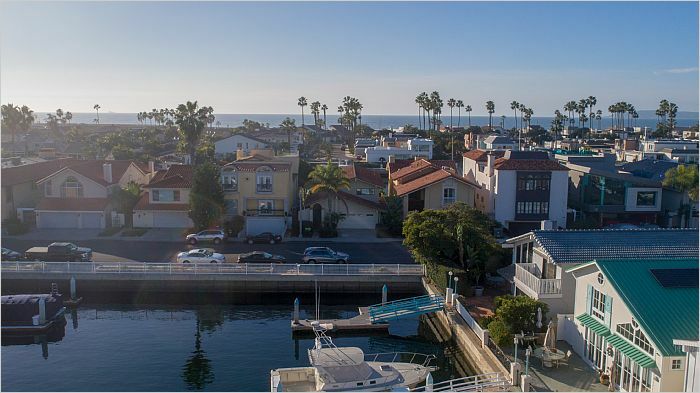 As a result of the way the home is situated in relation to the Pacific Ocean a cool year round ocean breeze goes through the whole house when windows and sliders are open without the need for A/C. 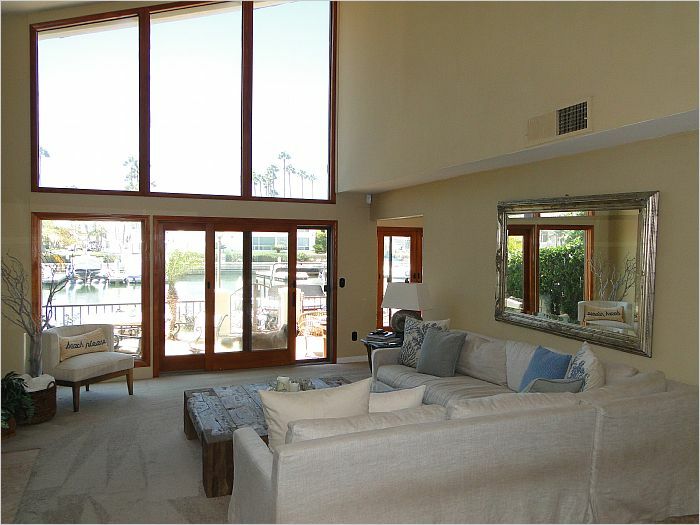 Master bedroom sliding glass doors & balcony overlooking the water. Owner Financing possible for the right buyer. 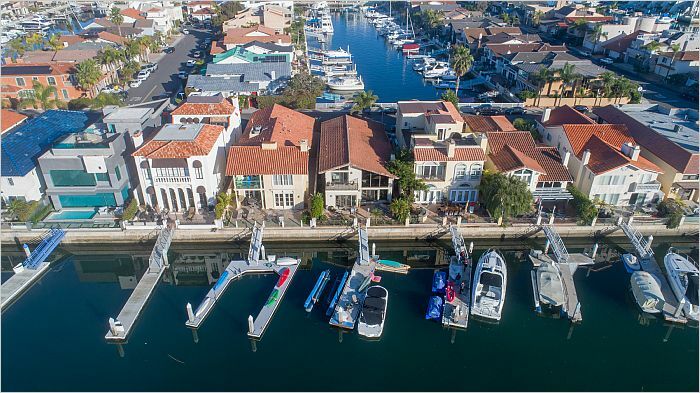 Contact Broker/Owner Steve Spiro for more details at 619 307-9328. Newer Anderson doors and windows.